EveryWare is a research laboratory of the Department of Computer Science at the University of Milan, Italy. Our research activities are focused on data management for mobile and pervasive computing. 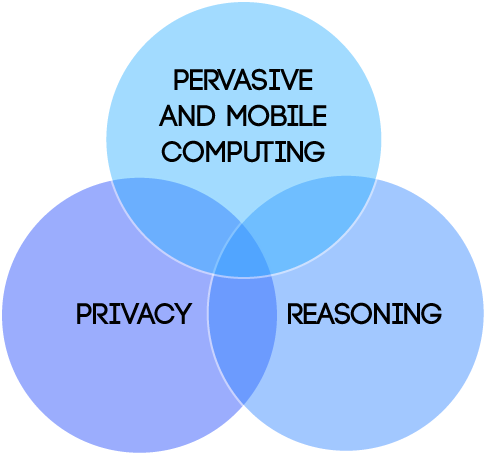 More specifically we are currently investigating issues at the intersection between the areas of mobile and pervasive computing, context representation and reasoning, and data privacy. We work on formal models and techniques to deal with temporal, spatial, and spatio-temporal information, as well as with other aspects of context information, like the recognition and representation of human activities. We also investigate formal models and algorithms to deal with privacy issues in context-aware Internet services. More applicative lines of research explore mobile assistive technologies, and privacy-aware mobile applications.